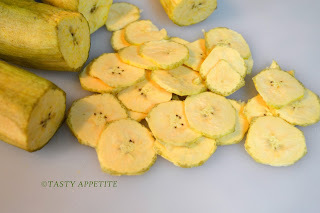 Looking for an easy & healthy Banana Chips recipe ? 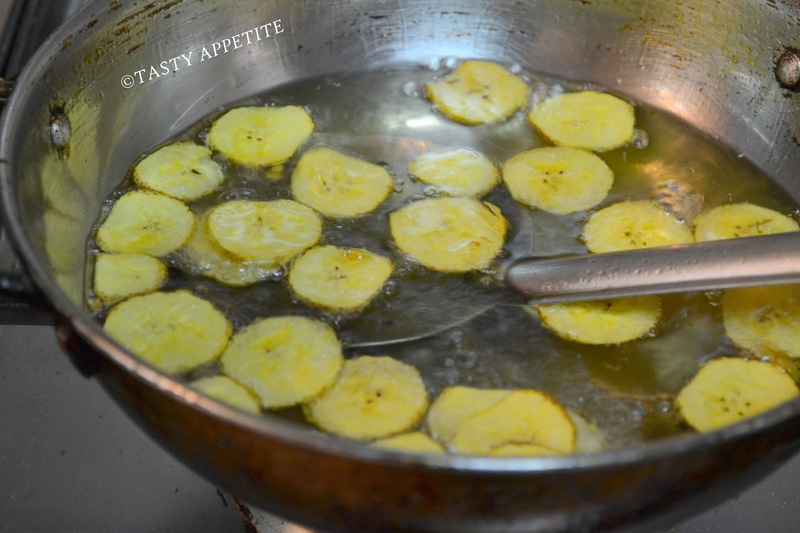 Here it goes..
Homemade Banana Chips are a cinch to make at home. I generally love to have some homemade snacks at home for kids. 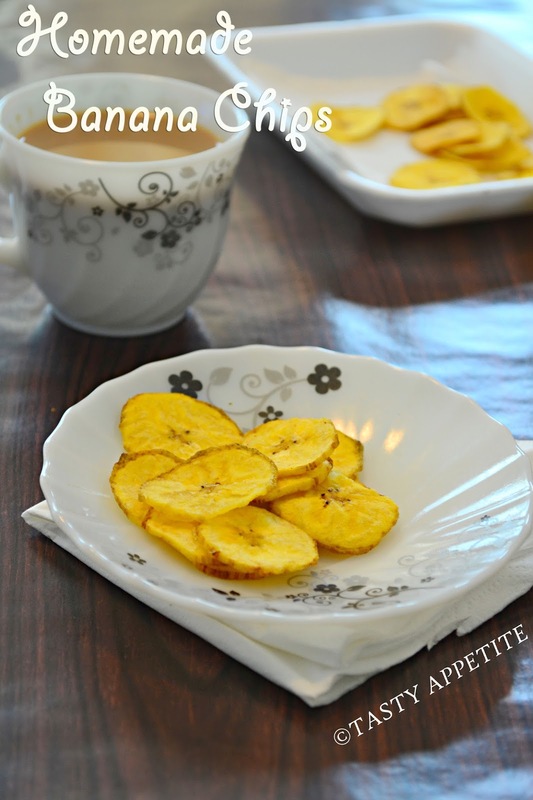 These healthy chips makes a good tea time snacks or any time snack, when you want to munch something. You can also season the chips with black pepper and salt. Also you can season with red chilly pwd or your own choice of herbs and spices & enjoyy..! 3. 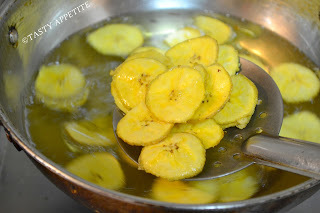 Allow to soak for 3 to 5 mins. 4. Remove and pat dry. 5. Heat oil in a kadai / fry pan. 8. 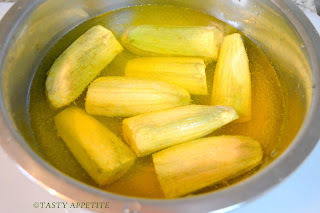 When it is half cooked, turn the flame to medium and keep stirring using a slotted ladle. 9. Once the bubbling sound stops, drain from oil. 10. 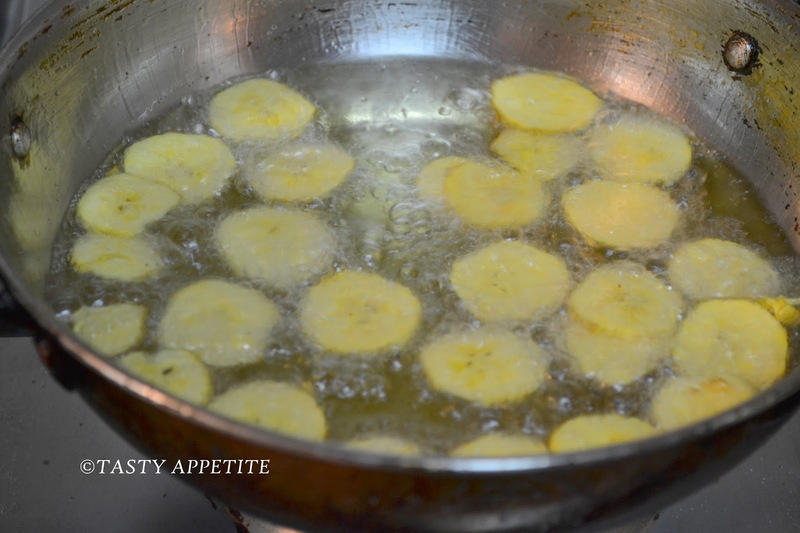 Place the chips on kitchen paper towel to remove excess oil. 11. Repeat until all slices have been fried. 12. That’s it ….crispy, crunchy homemade Banana Chips ready to munch. 13. Set aside to cool. 14. To store, place in an airtight container. 15. If you like to have chips spicy, sprinkle some salt and pepper in the jar and shake well. 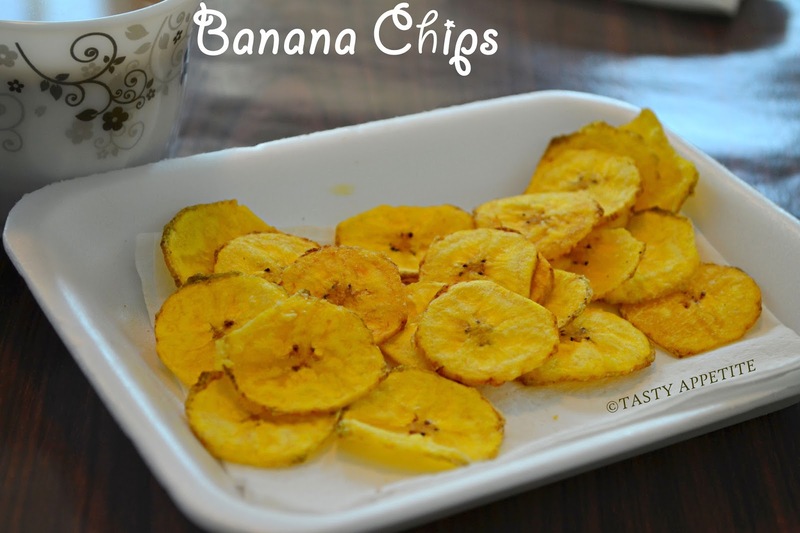 Crunchy and yummy banana chips. I love it. 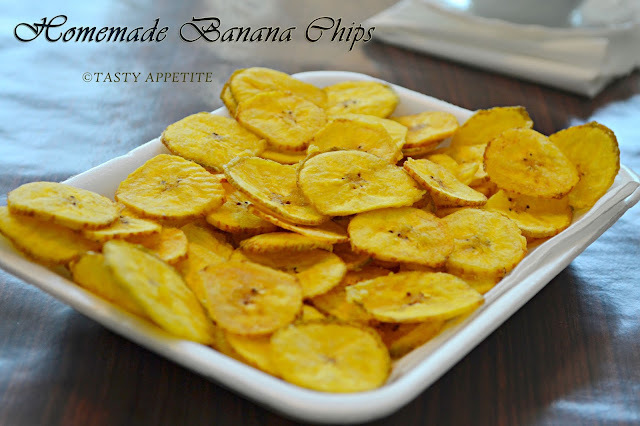 Banana chips are a favorite snack of mine. I restrict consumption mainly to avoid cholesterol. "Banana Slice" in Coimbatore supplies nice & tasty chips. 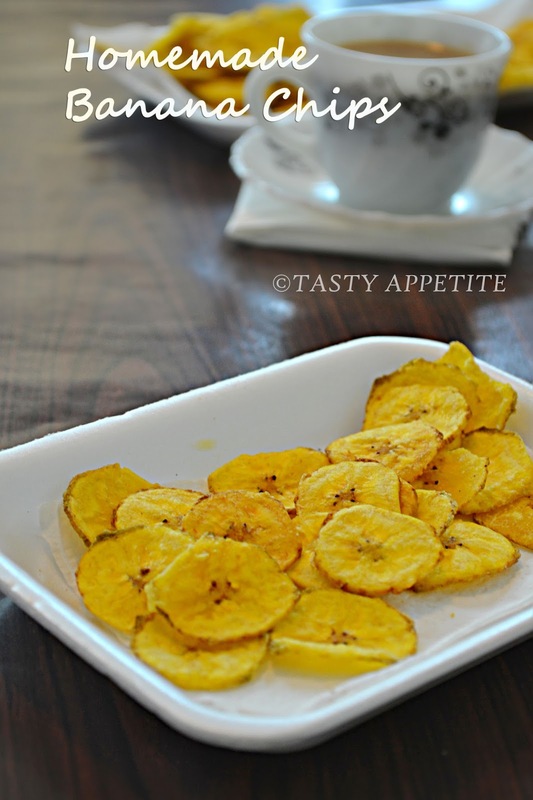 They have come out perfectly thin and very crunchy.. Wonderful tutorial. 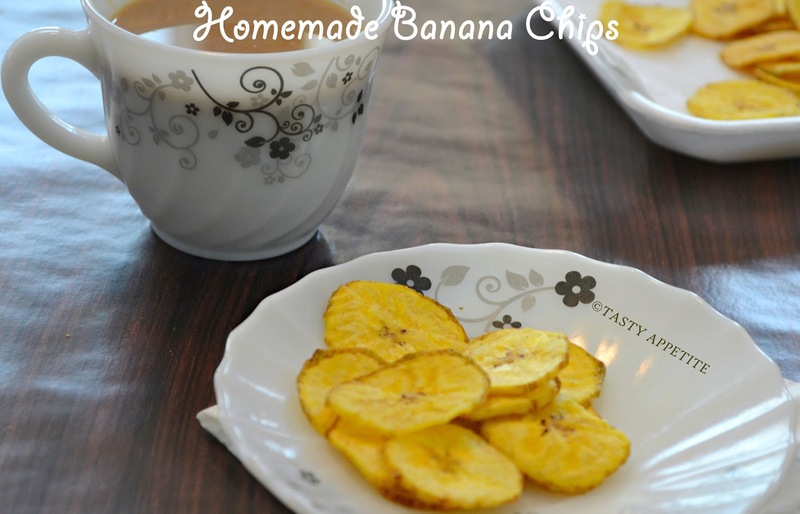 My daughter loves banana chips and I often buy them but now with your recipe at hand I am going to give it a try home. Thanks for sharing. I love banana chips, either salted, or brushed with honey/caramel. These look really good, I'm going to look for some plantains and make these soon! Love to munch these chips anytime..
my fav evening snack with tea..looks so good..
Crispy and crunchy looking banana chips. Making me hungry even just. Easy and taste!! Thank you Jay! Makes me hungry, delicious chips. Well explained post vth step wise cliks..n so yummy. Chips. These chips are really my fav.. 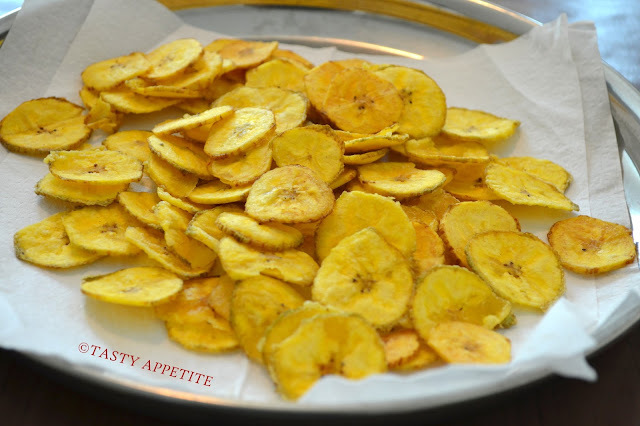 I make these chips exactly the same way, except that I fry them in coconut oil. 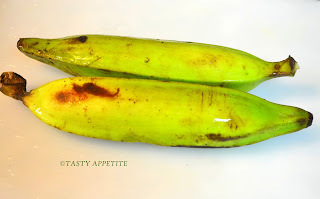 They are just heavenly and taste exactly like the ones from Kerala. 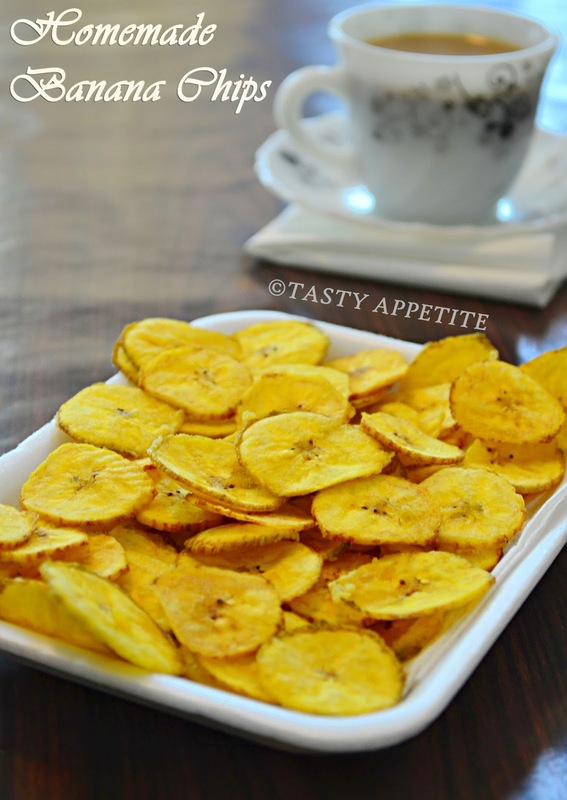 I made these chips at home and I m loving it. 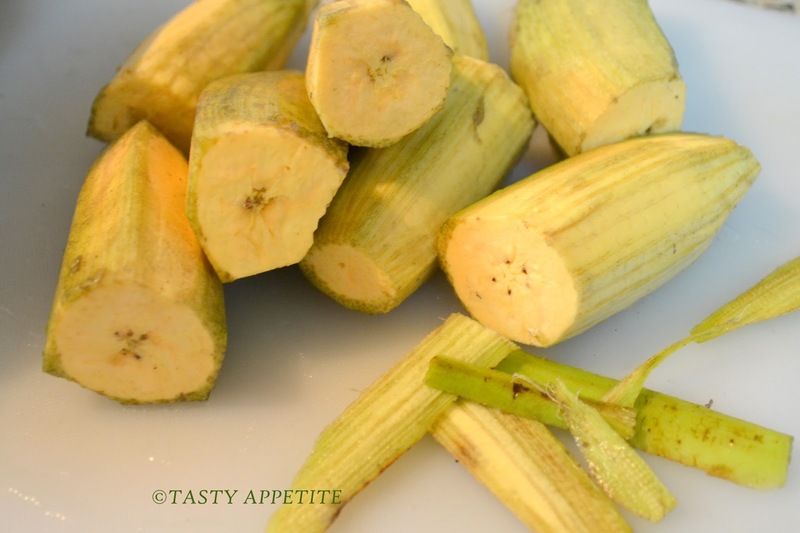 where can i buy Nentrankaya in mumbai?? in shops like ABBA, Shri Valli Traders, Benny's South Indian stores, etc.